THE MOM-DAUGHTER LINE Hallmark 2007 ornament. Mom & daughter are made out of cell phones. Very detailed & quite clever! 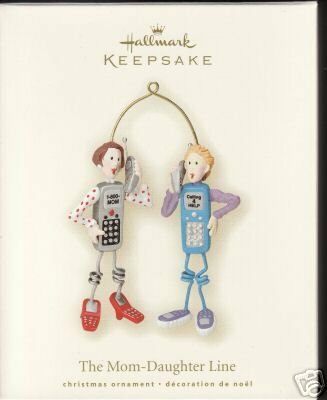 Items Similar To "The MOM-DAUGHTER LINE Cell Phones Hallmark Ornament 2007"